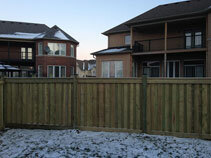 Vinyl Fence Toronto Fence Canada sells and installs full privacy premium pressure treated wood fence systems, with 6×6-foot panels, which offer optimal security and privacy for your home or business. 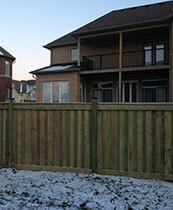 The pressure treated wood construction delivers durability and reliability, making these wood fencing systems perfect for a range of different properties, from enclosing your yard for a large dog (many large dogs can easily jump over 4-foot tall fences), your children, your pool area, your business property and beyond. 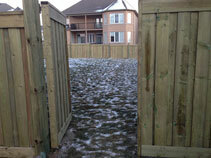 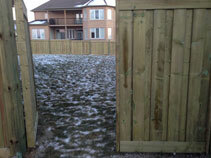 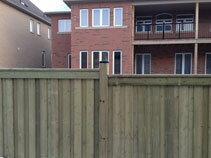 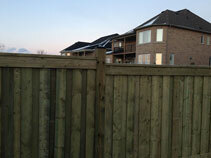 Vinyl Fence Toronto Fence Canada is a leading installer of privacy premium pressure treated wood fencing. 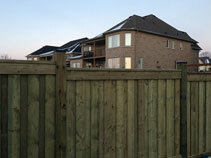 We serve the entire Greater Toronto Area (GTA.) 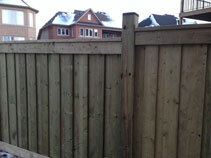 Wood privacy fencing installation price quotes are now available by visiting our price quote page. 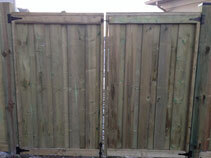 Simply enter your information and one of our fencing experts will be in touch to discuss your fencing needs.